Each November, the Association of Fundraising Professionals' Greater Baton Rouge Chapter celebrates National Philanthropy Day to honor local donors and volunteers. Included is the Leave a Legacy award, which raises awareness of the impact that charitable bequests have on nonprofit organizations and the individuals they support—in hopes of encouraging more donors to consider similar legacy investments. The LSU Foundation is proud to recognize Sue and Donald Crow and Harvey and Betty Schwartzberg as its 2016 Leave a Legacy nominees. 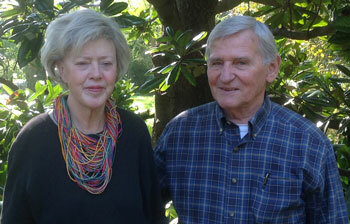 Sue and Donald Crow Inspired by the use of integrative medicine to treat their dog Hanna's cancer at the LSU School of Veterinary Medicine, Sue and Donald Crowe's vision and support has helped LSU to create one of the foremost integrative medicine programs in the nation. The Crows' Integrative Medicine Support Fund brought in renowned integrative medicine veterinarians to speak at the school. In 2013, Dr. Ronald Koh became LSU SVM's first integrative medicine veterinarian and a driving force for the program, which has since expanded and received national recognition for excellence. The Donald and Sue Crow Chair for Companion Animal Integrative Veterinary Medicine, a charitable bequest, will ensure therapeutic treatment options are available for animals in perpetuity. When the gift is realized, it will grow the integrative medicine department by funding recruitment of faculty or visiting professors; salary supplements, research and equipment; and ongoing education for students, residents, fellows and faculty. "We do this in loving memory of the many animals that have brought us love," Sue shared. "We think they're angels. They're so full of grace and goodness and abundant love. They've been our children all our lives." The Crows have given LSU SVM the resources needed to remain a cutting-edge veterinary medicine school that personalizes its treatment for every animal it serves, and are partners in LSU SVM's mission to teach, heal and discover. 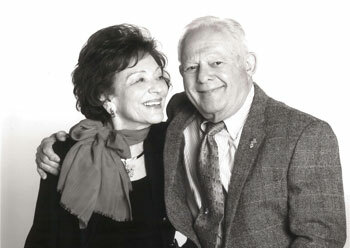 Harvey and Betty Schwartzberg LSU alumni couple Harvey (Engineering, '49) and Betty (Arts & Sciences, '50) Schwartzberg are described as a dynamic team whose charm and warmth adds yet another layer of endearment to all of their good works. Off campus and on, there is no category of art, history, nature or religion that the Schwartzbergs do not support. At LSU, they have founded a scholarship and a graduate fellowship in the College of Humanities and Social Sciences, endowed two oak trees near the College of Engineering, donated collections to Hill Memorial Library, and created a charitable gift annuity. They give to the College of Music and Dramatic Arts and are patrons of the LSU Opera, charter members of the Lagniappe Studies Program, and lifetime members of the LSU Alumni Association. Harvey, who served as Cadet Commander of LSU's ROTC unit as an undergraduate, remains committed to the Cadets of the Ole War Skule. "Why do we give to worthy causes? I think it is the way we were both raised. In the Jewish faith, the tradition of 'tzedakah,' charity, is a bedrock," the Schwartzbergs said, adding, "The act of 'tekum olam,' healing the world, is ingrained in us. We support those causes which aid others and improve the community in which we live." The students, faculty, and staff of LSU are proud to call Harvey and Betty family. The Schwartzbergs are a shining example for all Tigers to use their time, talents, and hearts to make an impact on LSU, Louisiana, our nation, and the communities served by each.